You might think that eating less will help you slim down, but this actually is a bad idea. According to Reader’s Digest, when you severely limit yourself and skip meals, your strategy could end up backfiring on you because your weight loss will stop and weight gain will occur instead. One of the best weight loss tips is this: don’t starve yourself. Instead, focus on eating lean, nutritious foods, such as fruits, vegetables, whole grains, and healthy sources of protein. No need to skip meals or drastically cut your calories. Another one of the best weight loss tips has to do with your workout routine. Remember, it is the combination of diet and exercise that can help you achieve amazing slim-down results. Studies have established that cardio on its own can only go so far when it comes to helping you lose weight. You need to add in some strength training exercises as well, so don’t be afraid to grab some weights for resistance training a few times a week, in addition to your cardio routine. At the same time, though, you don’t want to overdo it when it comes to exercise because, if you do, you increase the odds of burning out and hurting yourself. Don’t stress your body to the point that the exercise is doing more harm than good; instead, give your body time to rest. Finally, you should watch what you drink, as even the healthiest smoothie could have a lot of calories and sugar. Plus, you might find yourself hungry again right away. To do it right, make your smoothies at home without added sweeteners, and blend whole fruits and veggies so that you are also getting a filling dose of fiber with all those nutrients. 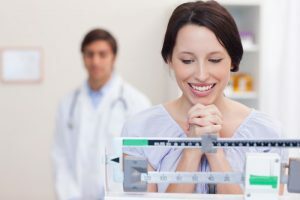 Using some of the best weight loss tips can help you get back on track when you have made some of the many common diet mistakes that people make every day. So, what are you waiting for? Change your ways so that you can start seeing better results!